Weighing in a little over 1,100 pages, The Fourth Edition of CSS: The Definitive Guide is a lot to digest. We’re pleased to offer you this amuse-bouche, of sorts, on compositing and blending. Eric Meyer has been working on the web since late 1993 and is the founder of Complex Spiral Consulting, co-founder of the microformats movement, and co-founder (with Jeffrey Zeldman) of An Event Apart. A widely read author, Eric enjoys a good meal whenever possible and considers almost no type of music to be worthless. He lives with his family in Cleveland..
You can’t always predict who will use your products, or what emotional state they’ll be in when they do. But by identifying stress cases and designing with compassion, you’ll create experiences that support more of your users, more of the time. Join Sara Wachter-Boettcher and Eric Meyer as they turn examples from more than a dozen sites and services into a set of principles you can apply right now. Late-breaking news: after the article was written but before it went live, Opera added Grid support as well. So that’s three browsers with live support, and more coming soon! Technically, you can use body::before and body::after to style up to two grid cells independently of any grid items 😉 It’s a hack, though. Would just `auto` instead of `min-content` work? It seems so. If I’m reading the spec correctly, `min-content` always computes to `auto` on the block axis. In #snippet7 should it be “grid-template-columns: [left] 1fr [middle] 20em [right];” instead of “grid-template-columns: [left] 1fr [middle] 20em [end];”? Šime, can you describe your generated-content hack a little further? I’m not sure I understand. Also, auto will generally work as you describe, and certainly would have in this case. I tried to stick to min-content since it’s new and I wanted to reinforce its existence and behavior with readers. If I’ve understood the definition of auto in the spec, there are specific cases where its behavior would be different than min-content, though it’s possible I’ve misunderstood. Still lots to learn! Thank you, Giulia! I’m glad it was useful. You’re right about that error, which I’m sorry to say I overlooked because I didn’t thoroughly test that example before publishing. I’m hoping to have it corrected ASAP. Thanks for the heads-up! 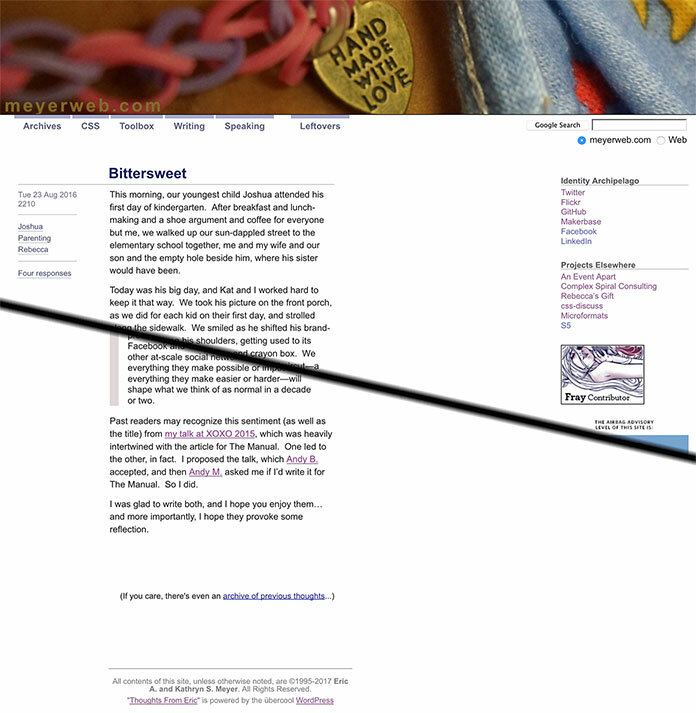 So, to put a box around the “extra” sidebar, you’d just position a ::before element into that grid cell and style it, e.g. And these styles would be applied to the cell regardless of whether or not you’ve placed any element(s) into the cell. You could regard these styles as part of the grid layout itself. Probably a bad idea, though. Oh, that’s interesting! As you say, it is a hack, but it offers some relief. Perhaps if we see a lot of people doing that, it will add impetus for the WG and browsers to allow direct cell styling. Thanks for the contribution, Šime! In snippet 5, why is the #search block needed? After #sitemast spans the top row and #navigate is put in row 2 col 1, wouldn’t #search just end up in row 2 col 2 by itself anyway? You know what, Smylers? You’re absolutely right. That would work. Well done! I’ll work with ALA to update that part. 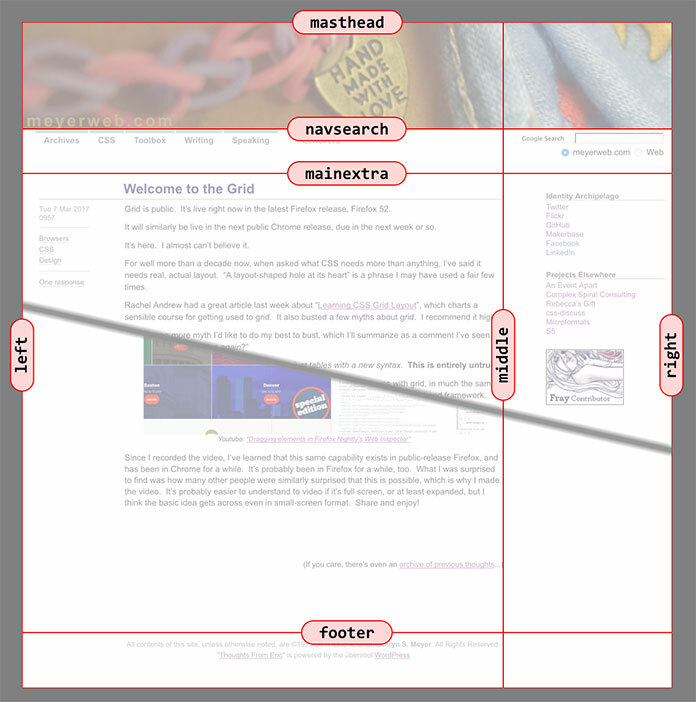 This is the gold mine on CSS grid for me. Thanks for Sharing your informative and useful knowledge. Thank you, Tarima and Prajwol! Although I must demur: it’s more of a digestible introduction than a masterclass in grids. For a masterclass, you want what Rachel and Jen have been creating, via the links at the end of the article. Second update: yesterday, Safari shipped Grid support in Safari for MacOS and iOS. That’s four browsers from four vendors that rolled out Grid support in the space of four weeks! Eric, Liked your part about keeping it dry with minimal explicit definitions. Didn’t know about implicit auto flow, so this scored big for me. You also got me thinking. Does “auto” mean the same as “min-content”? I’ll be checking that. I’ve been laying out via the ascii art method specifying auto for height on the right side of the block (easiest for beginners). Got your book on the radar. Best. Editorial note: code snippet #5 has been simplified, and the explanatory text that follows is modified, in line with comment #9 from Smylers. Thanks, Smylers! Robert—auto and min-content behave similarly in many cases, but not all. The difference is somewhat elusive, if I’m honest—I’m still looking for a solid demonstration that clearly delineates the two. Thanks for reading and commenting! 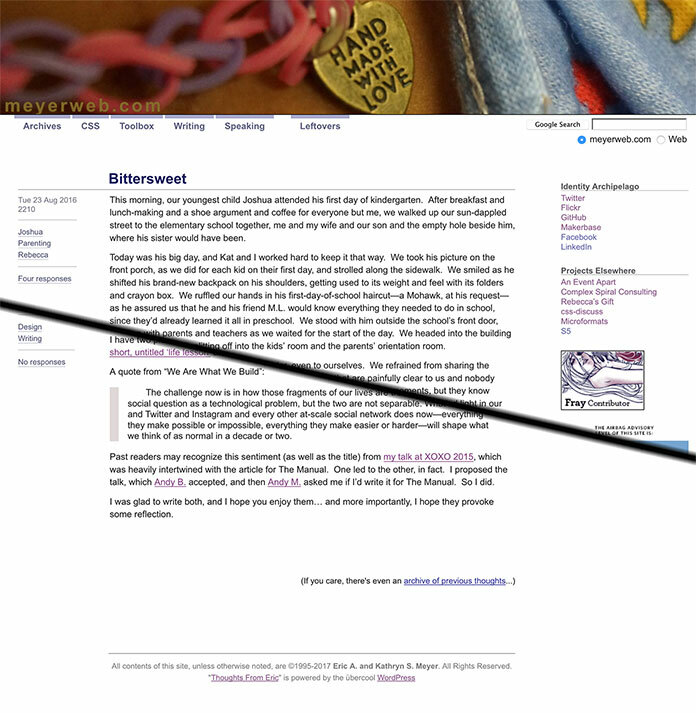 Eric – Excellent write-up. I’ve looked over many and while it may be just an introduction, it was superbly written; easy to follow and understand. That’s something so many people get wrong when putting these things together, intro or advanced. 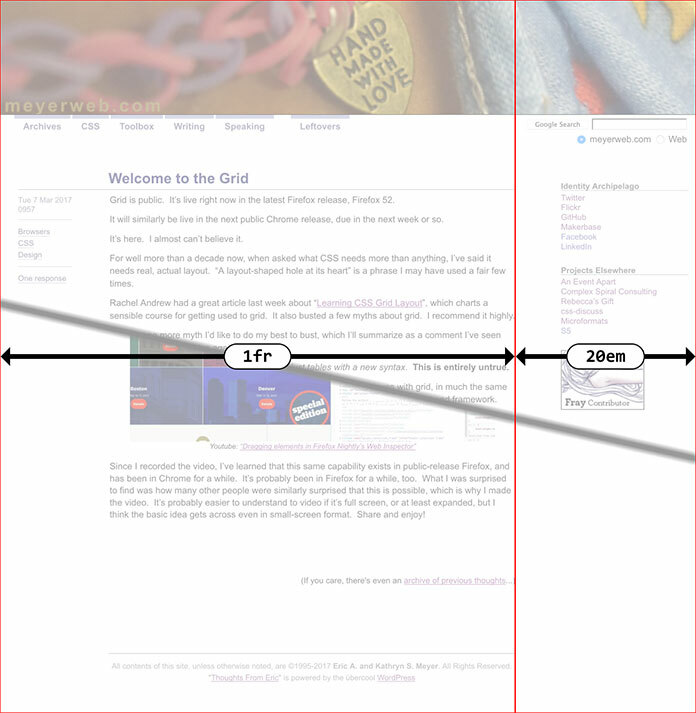 Regarding TraderJoe’s comment, I’m in the same boat IF Chrome and Safari latest both support CSS Grid on mobile devices. I haven’t dug in too much on the issue, not enough to catch news or anything, so it may be. But I serve more than 150,000 pages each month to mobile devices. That makes it the deal-breaker for me in real-world use. Even still, going to update a project I’m tinkering with for the sake of tinkering to play with Grid (and some Flexbox too)! Very interesting article, thank you! The useful instructions are free, I think it will be simple with the beginners. Pretty much helpful Eric – specially answered an important question which is the difference between the flex and grid – thanks a lot for this. Thanks for this article Eric! 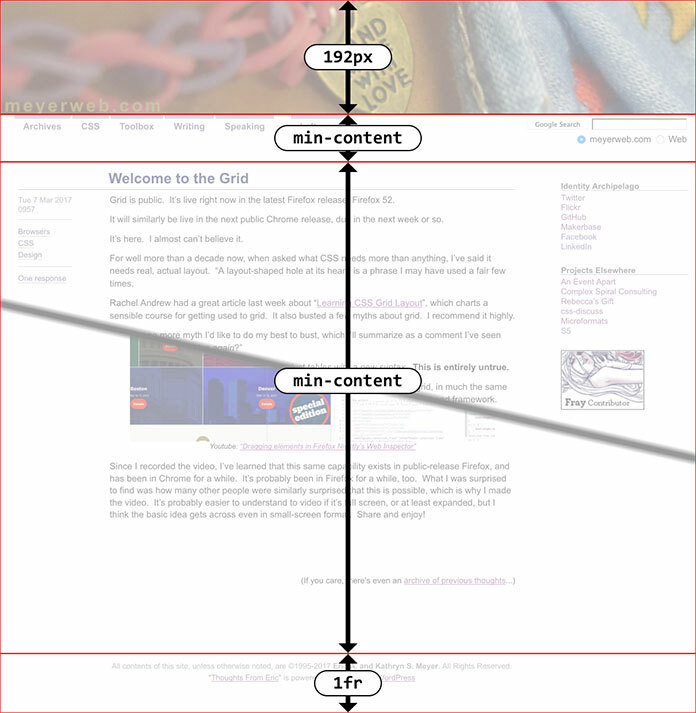 It is a masterclass in CSS grids. This is a great stuff for a design fanatic. Kudos. That’s some crazy stuff you got there. There is always more to learn! Yes, yes, yes! Finally, I comprehensive guide to grid! 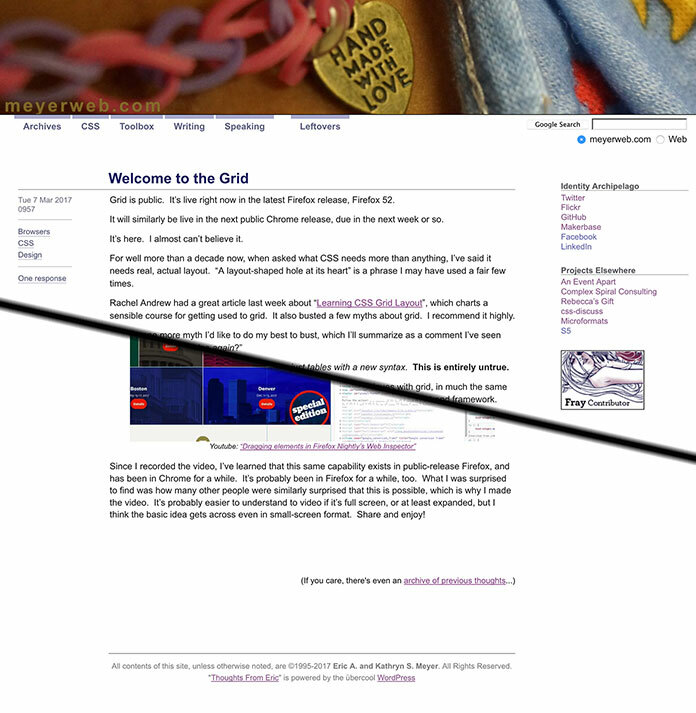 Thank you so much, now I am actively resisting the urge to rewrite all my projects with grid. That would be impossible, but it sure would help me maintain a proper page structure. 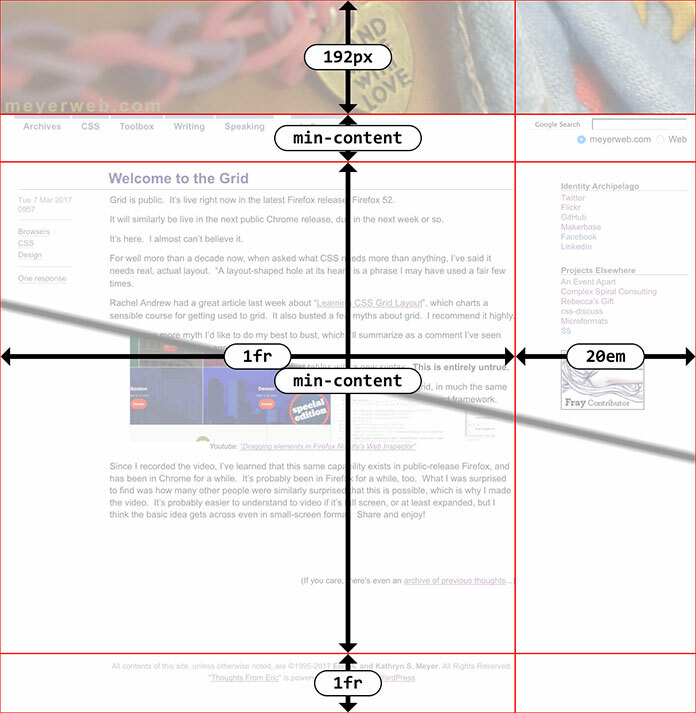 I’ve made a Chrome extension to perform CSS grid inspection. thank you for sharing. it’s very useful. Do the chrome dev tools emulate @supports queries for devices? I’m wondering how we would test fallback using dev tools or if we should just use browserstack to test in Edge, IE 11, etc. 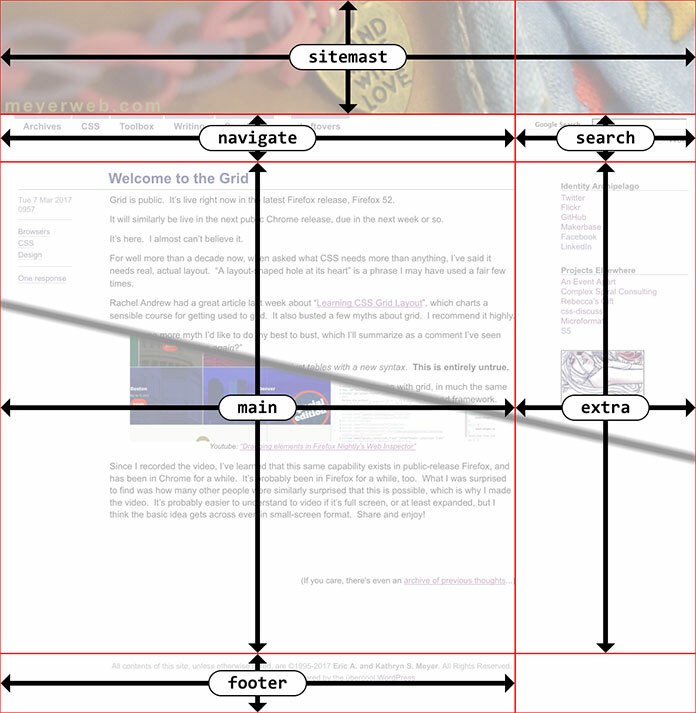 Yes, It’s true understanding and using CSS Grid is quite easy, after reading such a good article as yours.. Of course sometimes it’s more than 20 minutes for troubleshooting, but it’s still worth. Good article and good, detailed approach to the topic. Well done. And what is important, We have valuable comments outside the article – thank you.